Recently, my son in law shot a number of pheasants, and gave me several. They were skinned, cleaned and vac packed frozen. I thawed out two the other day and got to work. This was my first time ever with these birds. I used the dark meat for a pasta dish. 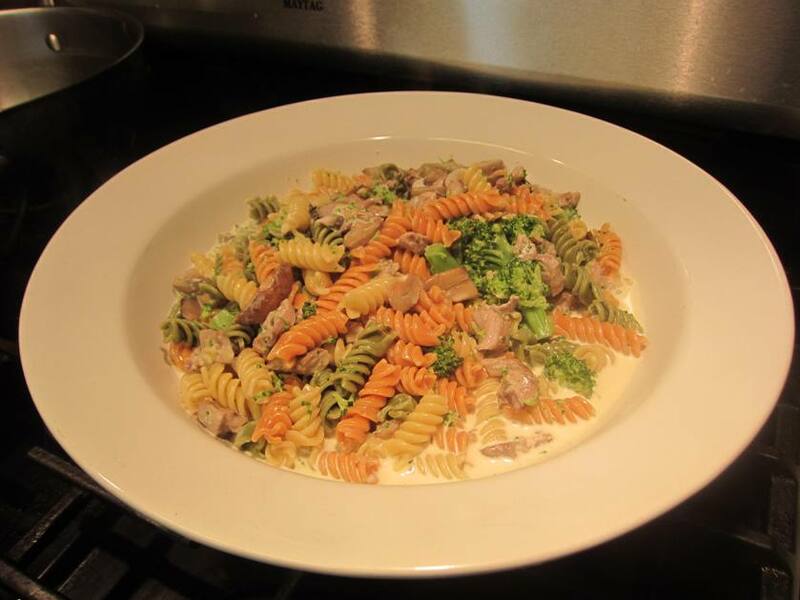 Tri Color Rotini with a sherry cream sauce. I poached the breasts in stock made from the carcasses and a bit of orange juice. After poaching, I pan seared them in butter to give some color. Served them over garlic mashed potatoes with a port wine, shallot reduction. For someone unfamiliar with bringing a pheasant-based meal to the table, I'd say you did a splendid job of it......ya' had me droolin' anyway! Looks good to me. 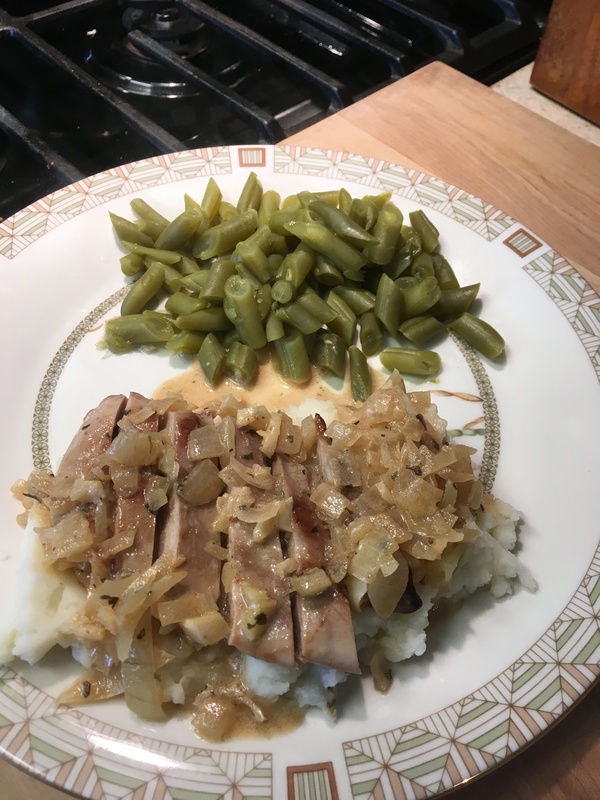 I've only had pheasant cooked in a cream of chicken casserole dish that my grandma would make. Good but didn't look as good as those. Sounds great! I guess I was at Rendezvous when you posted this. I harvested and ate dove, quail, and rabbits when I was young. Never got a pheasant. Or a duck for that matter. I've eaten good duck. Kelly is really turned off by wild meat. Not squeamish, just that unfamiliar taste. I have eaten a lot of pheasant over the years as it was one of my favorite birds to hunt. I spent a lot of time in Kansas, Colorado, Nebraska, and South Dakota (before I moved here) over the years. Most of the time I cooked them in a stir fry with other vegetables and even baked a few. What you have made looks great and probably tastes great too. Of the two dishes the one with the mashed potatoes looks most appealing to me.